You’ll be paying a bit more at the pump in a few states after July 1st due to tax increases. Most of these increase are due to states needing more for projects to fix roads and highways. Note that these prices are in relation to diesel tax. The link below will have more information about gas tax increases. Indiana raised by 10 cents. Tennessee raised by 4 cents. Montana raised by 1.5 cents. West Virginia raised by 3.5 cents. South Carolina raised by 2 cents. Maryland’s is only going up 0.3 cents. New Jersey is the highest with 10.8 cents. Sitting down with the newest member of Contractor Relations Chris Starck. 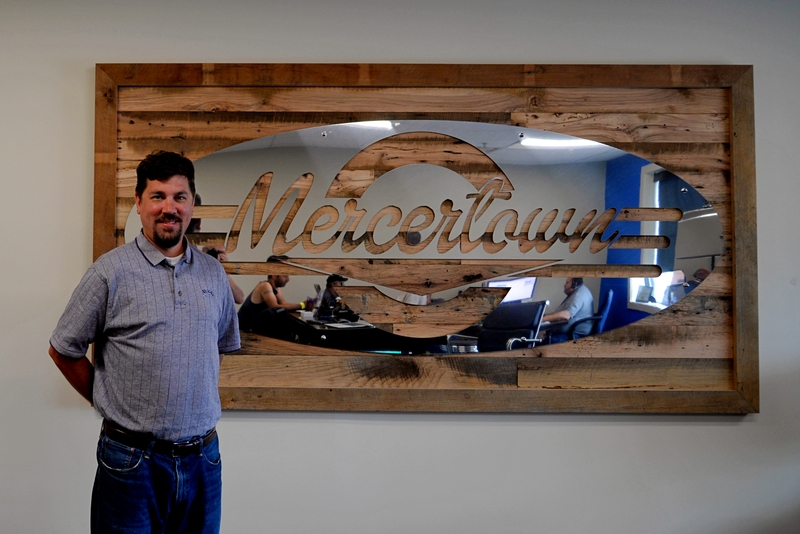 While he may be new to the Contractor Relations Department, he isn’t a stranger to Mercer. Sitting behind the flatbed service bar in the Contractor Relations office he about how he started back in September of 97. Back then he worked for us in our Claims Department. In between phone calls Chris discusses his other positions here at Mercer during his 20 years here. With him moving from Claims to Agent Training, to being our Agent in Wilmington NC. Chris took care of that agency for 3 years before going to work with Lynn at LNV for a year. 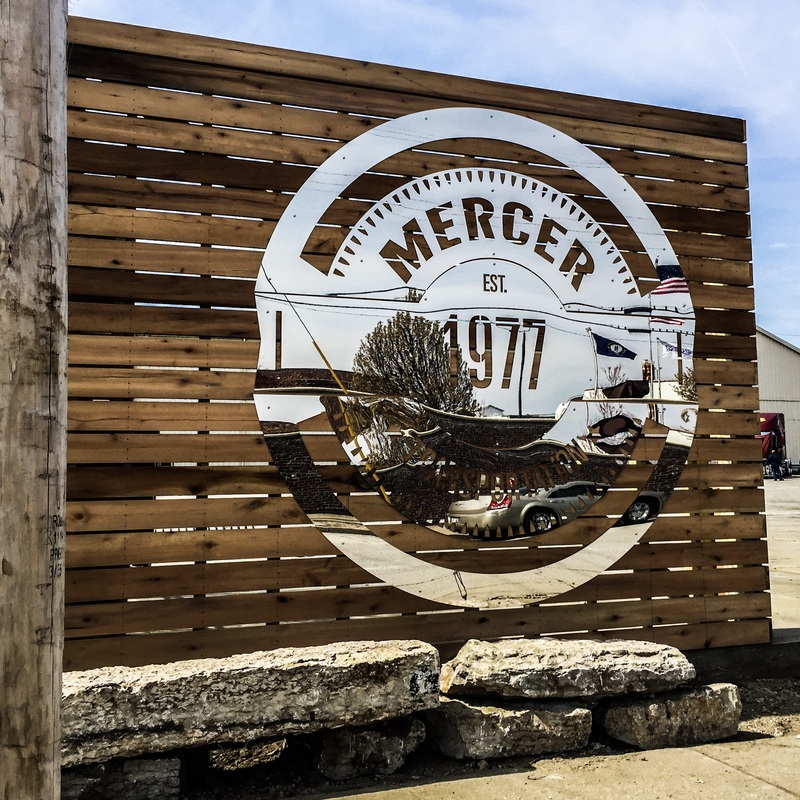 In an effort to support our various shippers that ship hazardous materials, Mercer has instituted a program to encourage our contractors to add the Hazmat Endorsement to their CDLs. Any contractor who renews their CDL in 2017 and includes the Hazmat Endorsement will receive a $50.00 bonus for each of their next six hazmat loads hauled. This bonus will also be available to contractors whose CDLs are not expiring in 2017 but add the endorsement by years end. Drivers, if you have added or renewed prior to this date but still in 2017 please call Yardley Flaherty, she will update your driver file. Drivers who add the endorsement even though their CDL is not expiring in 2017 should also call Yardley. Drivers who renew their CDLs with the Hazmat Endorsement from this point forward in 2017 need not do anything. Yardley will update your file automatically. Get with Yardley Flaherty to make sure you are updated. The next 6 HazMat loads will pay $50 dollars straight to the truck. There are a number of areas of the country where the Hazmat Endorsement will benefit you in terms of loading options, IN, PA, MS and UT to name a few. Not only will you benefit from the $300 bonus over 6 trips but most of these loads pay an additional Hazmat charge. This program will run until the end of the year. We will be monitoring the benefit of the program for our drivers, shippers and Mercer, if the program is successful do not be surprised to see it extended into 2018. 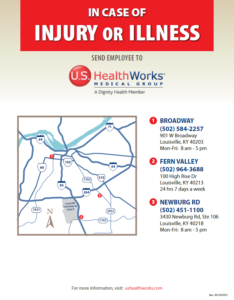 US Health Works is a nationwide medical facility that you may or may not be familiar with. They have three locations in the Louisville area and one of those is a 24 hour site. They offer physicals for $33. Cheaper than any others I have heard about. Only the Louisville locations offer physicals for that price. Every penny saved as an owner operator is important so feel free to take advantage of it. As always, thanks for your hard work everyday and stay safe out there. As some of you mentioned at the drivers forum, the phone app has been slow, or sometimes not connected, the last few Mondays (and a couple of Tuesdays). We have already been testing a replacement server with much more processing power, and are ready to deploy it this weekend. At the same time, the old Contractor Web will not operate on the new server, so this will be the last weekend you can use the old version of Contractor Web. Switchover plans are below. During the periods specified as downtime, both the mobile app and Contractor Web will be unavailable. You will need to call in the old-fashioned way if you need help. We are planning the following to have the least amount of downtime and protecting the most active hours. Take the systems down Friday evening, April 7th around 11PM to midnight to perform the final full system save from the old server. Systems will be down until around 4AM Saturday morning. Systems run as normal on Saturday for the weekend work, and will be shut down at 5PM on Saturday, April 8th. During the day we will be loading the new server from the previous night’s system save. Saturday evening after 5PM, we will load changes made from work done on Saturday and start bringing up the new server and testing all connections with other servers and communications. Systems to be available on Sunday, April 9th by 7AM to continue working. If for any reason something unforeseen happens overnight that is a problem, revert back to current server. Wow. That was a great truck show and Jamboree. Thank you for being patient thru all the modifications in support of the events. Please remember to pick-up your trailer from the rental parking lots (9th Street/ Flood wall). We will no longer be renting these lots after March 31. The Driver’s Lounge has returned to regular parking and no longer “bobtail only”. The campus has returned to normal parking requirements. Lot 4 (Derby City Lot): Alternate Bobtail parking (Parking coordinated thru Company store) No empty trailer drops. Temporary Leased lots #1 (Flood wall Property/ 1101 Rowan Street): Additional secured parking has been designated at 1101 Rowan Street, 40203 to support Truck Show and trailer drops. The lot is secured at the entrance 24/7. 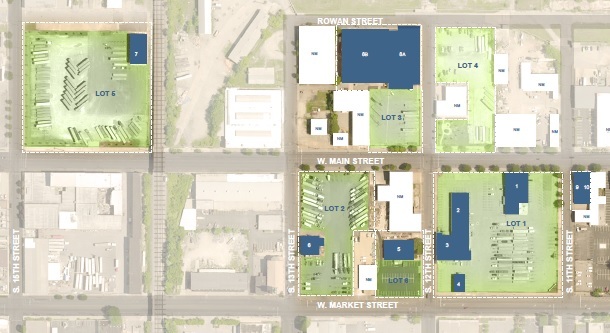 Temporary Leased lots #2 (939 South 9th Street): Additional secured parking has been designated at 939 South 9th Street, 40203 to support Truck Show and trailer drops. The lot is fully fenced and secured 24/7. Transportation/ relocation fee: All empty trailer drops shall be coordinated with Mercer Facilities and will be limited to the temporary leased lot. Empty trailers that are discovered on Lot 1,2,3,4 may be moved to another Mercer lot and may be subject to a transportation fee of $50.00. Many of our Drivers work thru the night and require day time hours for rest and recovery. To support restful sleeping, we have restricted all Truck maintenance by outside vendors from Lot 1 and Lot 2. If maintenance work is required, please relocate your truck to Lot 5 (Inspection Lot) to complete the vehicle maintenance. We have established a safe work zone in the parking spots adjacent to the Inspection building. Please be considerate of your fellow drivers while they sleep and assist with supporting Safe Driving. Due to a rather sudden event, we had to make a small change to our fuel prices page. You may now be noticing that it ask you for a password. We apologize for the inconvenience and thank your for your understanding in this transition. The password for the site is mercer, and that is all lowercase. Let me guess, most of you finished that title with bad. We’ve all heard it all our lives, “Change is Bad.” Heck one of the most famous brand failures is when Coca-Cola decided to introduce the world to New Coke. This particular version of Coke was so hated that people did more than just complain about it, they actually stopped buying the product. But not all change is like that, most of our lives have been filled with changes that helped make our world better. Just think a little over a hundred years ago on December 17, 1903, the Wright Brothers had just done the impossible by flying through the air in a heavier than air aircraft. Forty-Three years later on October 14, 1947 Chuck Yeager broke the sound barrier hitting Mach 1. Then just 5 years later Scott Crossfield broke Mach 2 on March 2, 1953. What makes humanity great is our capacity for change. Our ability to use to tools and learn from those who came before helps us not just advance ourselves, but advance ourselves exponentially. The computers we used to land a man on the moon aren’t as powerful as the ones in the cheapest of smart phones. Most of you can remember the days before cellphones or even pagers, where you had to wait in the same truck stop for a call. Now you can be reached almost anywhere at a moments notice. The landscape of trucking is changing, and at a very rapid pace over even just the last few years. That brings us to our most recent change, the new Contractor Web. We are rolling this out early to give you a chance to get use to some of the changes with the new system. We hope that you also take this opportunity to contact us using the Support link at the top of the page. Any ideas or suggestion’s you have would be appreciated because we want this tool to not only be as good as the current Contractor Web, but even better. Look at the current Contractor Web as hitting Mach 1, and with the new Contractor Web we will be hitting Mach 2. All contractors, and qualified drivers receive an I.D. Badge. Your first badge is free. If your badge is lost or damaged, any additional badges will cost $10 each. Any legal spouse that rides on the truck with a contractor, will receive a badge for free. We will need to see a valid form of I.D., and we will need to verify that the spouse is an authorized passenger on the unit. All authorized passengers that are not legal spouses, can obtain an I.D. badge. Each individual badge will cost $10.00. We will need a valid form of I.D., and we will need to verify that each person is an authorized passenger. Authorized passengers are not required to obtain an I.D. Badge. The Authorized Passenger will need to sign in at the front desk, and be accompanied by the contractor, or Mercer employee at all times while on campus, if they do not wish to obtain an I.D. Badge. If you have any other questions, please contact Contractor Relations. Have a great day, and GO MERCER!